"Le biodiesel provenant du Jatropha va réduire notre dépendance envers le pétrole importé et nous aidera à atténuer les effets du changement climatique"
Given the escalating prices and volatility of feed stocks suitable for biodiesel, the control of the feedstock is at the core of Agritech’s strategy. 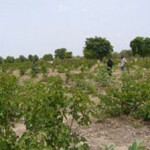 Agritech is currently developing Jatropha nurseries and plantations in Burkina Faso and Benin in West Africa. Cooperative or collaboration agreements with individual growers or NGOs representing growers for the off-take of their harvests. 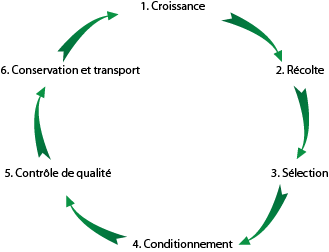 Agritech’s projects are supported by the Government in both Burkina Faso and Benin. Government contributions typically include the identification of suitable land, communication in rural areas, supply of local expertise, and enforcement of the contracts. Team Agritech travail avec des fermiers et des coopératives locales pour fournir la meilleure qualité de denrées pour le marché international. Notre réseau de paysans locaux nous permet de fournir un large panel de récoltes. Cotton (fibre, huile et graines), karité, noix de cajou, tournesol, graines de sésame, ricin, manioc, hibiscus, vigna unguiculata, coco, café et cacao. Nous faisons aussi pousser des denrées à la demande. Pour plus d’information, merci d’envoyer un email à l’adresse suivante : contact(at)agritechgroup.com. In the absence of a significant manufacturing sector, Agritech’s strategy includes forward integration into the production of bio-diesel in order to realize and optimize the values created in the plantations. Agritech’s technical capabilities ensure that the production process is managed professionally and competently, providing additional profitable value-added by-products such as such as cake used as bio-fertilizer and animal feed, bio-pesticide and refined glycerine. The latter is often neglected by projects concerned only with biodiesel production. As part of its commitment to sustainability, Agritech will implement waste management best practices in its plantations and its processing facilities. Agritech is also experimenting with alternative oil extraction methodologies, including the use of hexane, which could improve oil yields. Partnerships with local oil distributors help ensure a seamless supply chain process hereby end products from the factories will be delivered to users within the shortest achievable time. In order to align interests, distributors have been given the opportunity to invest in the plants. 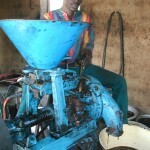 Jatropha (including seeds, shells, hulls and other biomass) can be used not only as a source of transport fuel but also as a feedstock for the generation of electric power. Agritech’s efforts to supply electric power sourced from locally cultivated and converted agricultural production could also have strong positive impact on deforestation and help to minimize the other negative impacts arising from the present reliance on wood-based fuel. Having acquired plant fact sites close to the national grid and close to major roads for logistics purposes, Agritech could generate close to 100MegaWatts of excess electric power for sale to the grid as the project goes into full development. Agritech is also in the midst of expanding its activities into the neighbouring country of Benin, at the request of and with the full support of the Beninese Government.